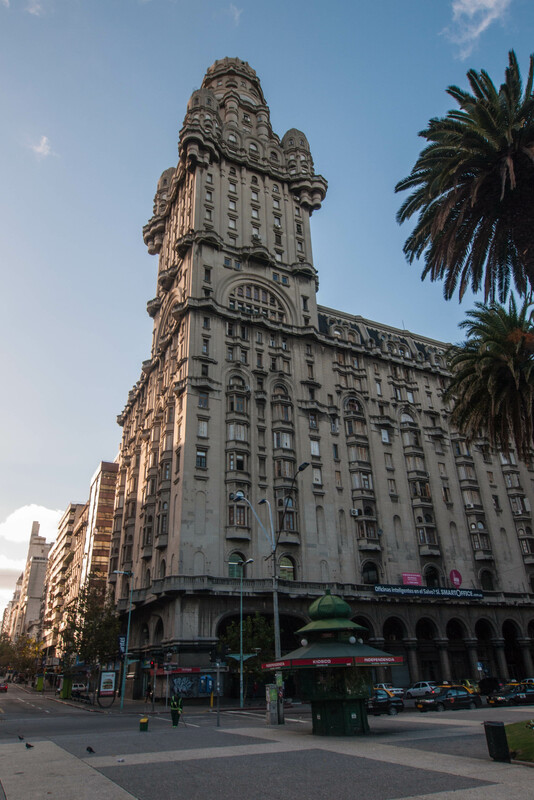 Once we’d dropped off the Beast at the port we were free to enjoy Montevideo and we had a couple of nights booked in a central city hotel from which to explore the city. Our hotel was just round the corner from the central Independence square and this was where we started our exploration of the city. 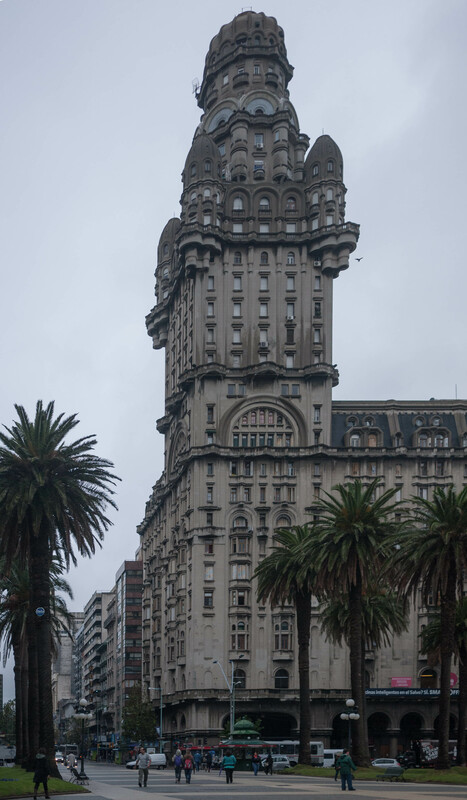 Montevideo doesn’t have the grandeur of its neighbour Buenos Aries, but that doesn’t mean that it is devoid of interest. There are grand buildings but they are interspersed between some hideous 1970’s eye sores. The centrepiece of Independence Square is the Mausoleo de Artigas, the tomb of Jose Gervasio Artigas, a Uruguayan hero often referred to as the “father of the Uruguayan nation”. 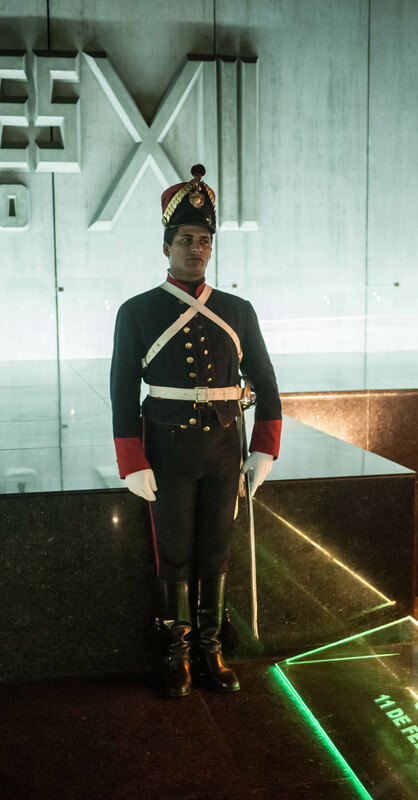 Above ground there is a statue of Artigas atop his horse and below ground is the actual tomb with a permanent honour guard. 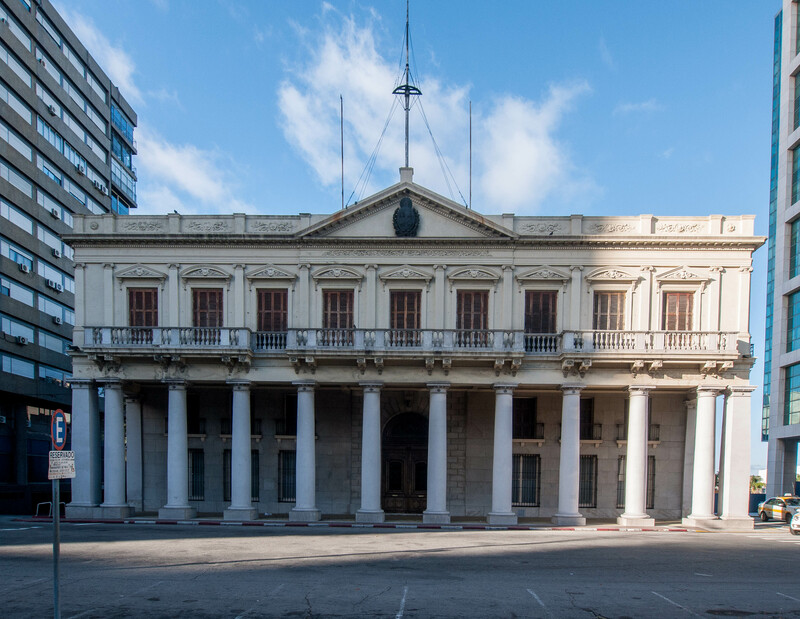 The other highlights of the square are the Palacio Salvo (surprisingly a mixture of apartments and commercial premises), the Presidential Palace and the Solis Theatre. Adjoining Independence Square is the Puerta de la Ciudadela (Gateway of the Citadel) which is one of the last remaining parts of the original city wall. Passing through this we walked through the old city and down towards the docks. 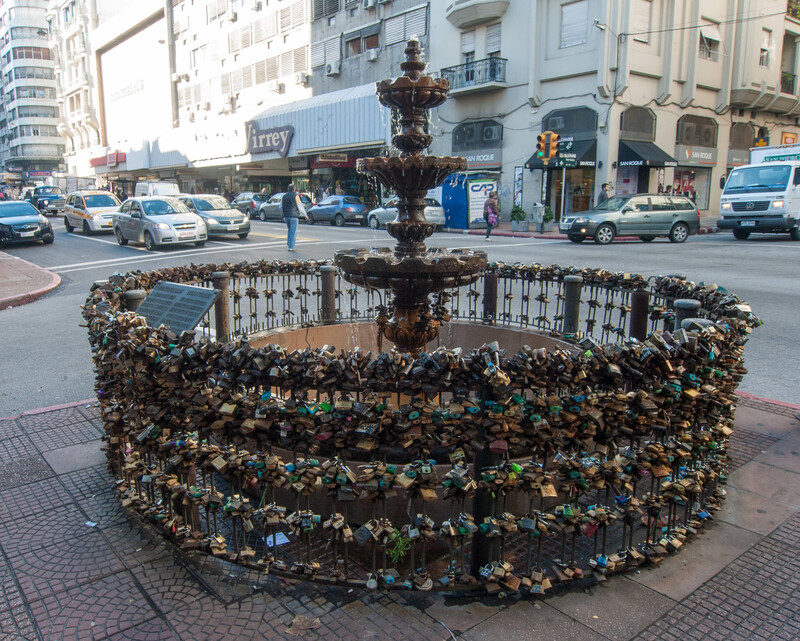 Montevideo is a really friendly, relaxed city which is enjoyable to walk around however it does lack the spectacular architecture of many other old cities worldwide. The area around the docks is considered to be quite dangerous after dark but during the day it’s a vibrant place with both locals and tourists visiting. 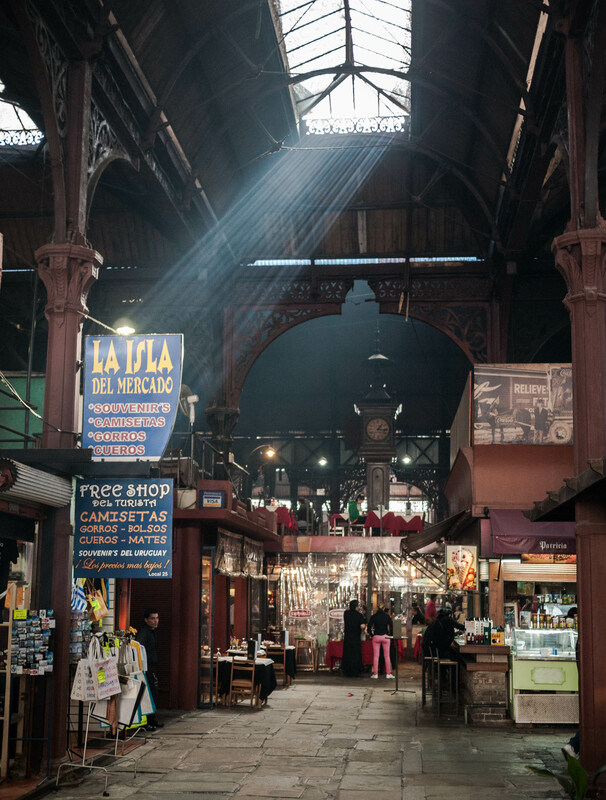 The main attraction is the Mercado del Puerto which was opened in 1868 and was originally a market. 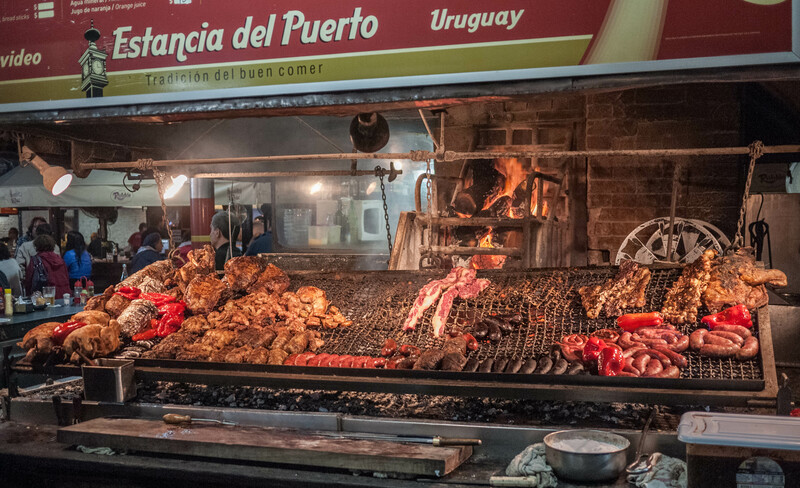 It is now full of restaurants that are jammed together and is one of the best places to eat grilled meat in the world. We loved this place so much that we actually came and ate here two days running. Our first lunch was at the famous “Estancia del Puerto”. We’d first seen this eatery on Anthony Bourdain’s “No Reservations”. We sat at the bar in front of the massive grill covered in amazing looking meat and ordered the BBQ for two. 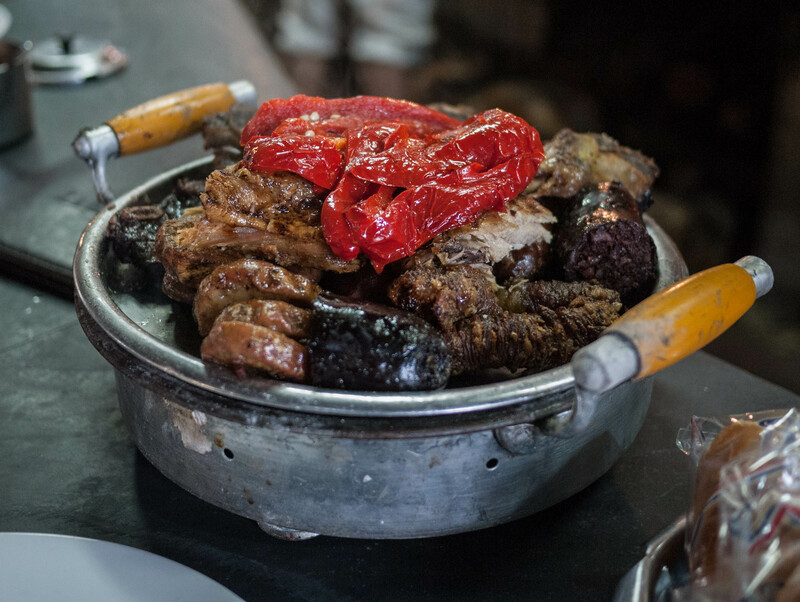 An amazing bowl of meat was delivered to us and we enjoyed it immensely eating every scrap. About half way through we discovered what two of the items that we had been enjoying were, the large and small intestine of a cow. Actually very nice, although very rich and definitely not something that you find on your plate back home too often. 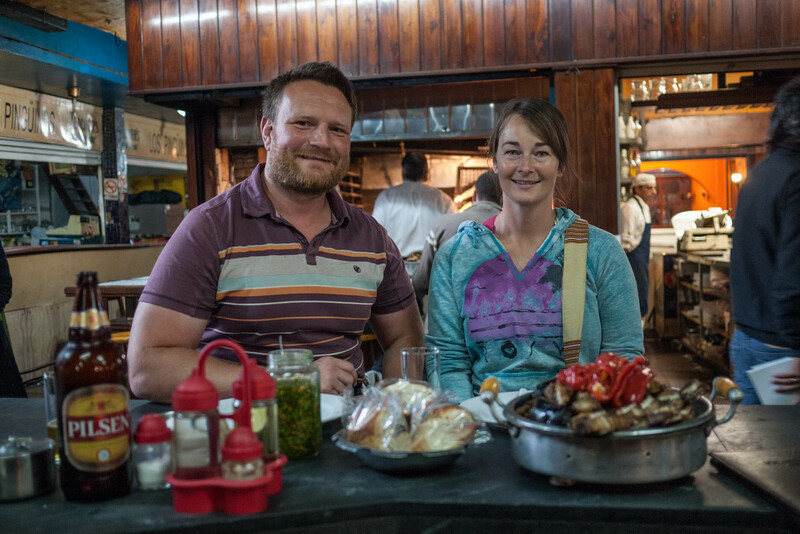 We liked this place so much that the next day we came back for some massive steaks at one of the other restaurant joints in the Mercado. We were treated to one of the best steak meals that we’ve ever had. 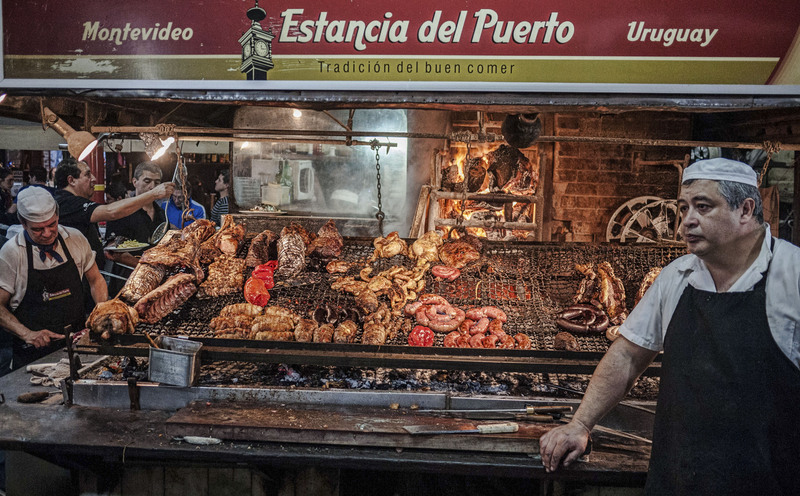 The only downside of the Mercado del Puerto is that the restaurants are not cheap but that does not mean that it isn’t value because the meat is some of the best and tastiest that you will have anywhere. We definitely found that eating here for lunch meant that no dinner was required. 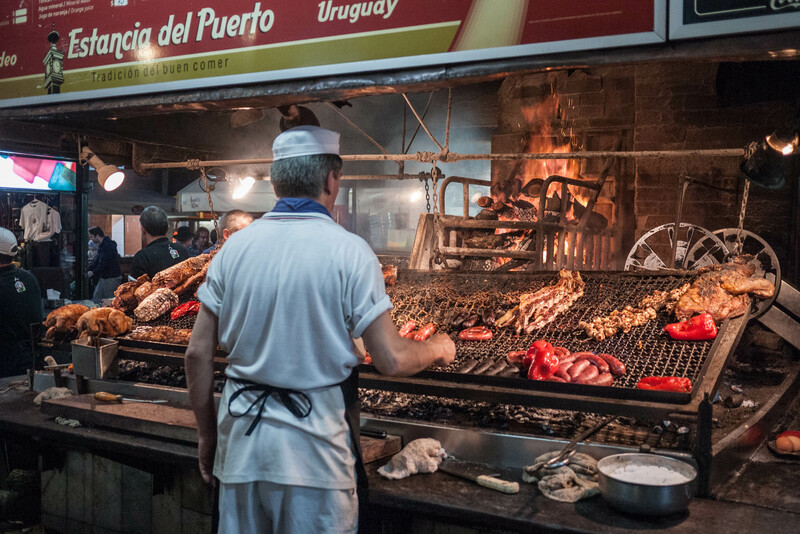 For us two days in Montevideo was definitely enough (even if we could keep going back to Mercado del Puerto for lunch for ever!). 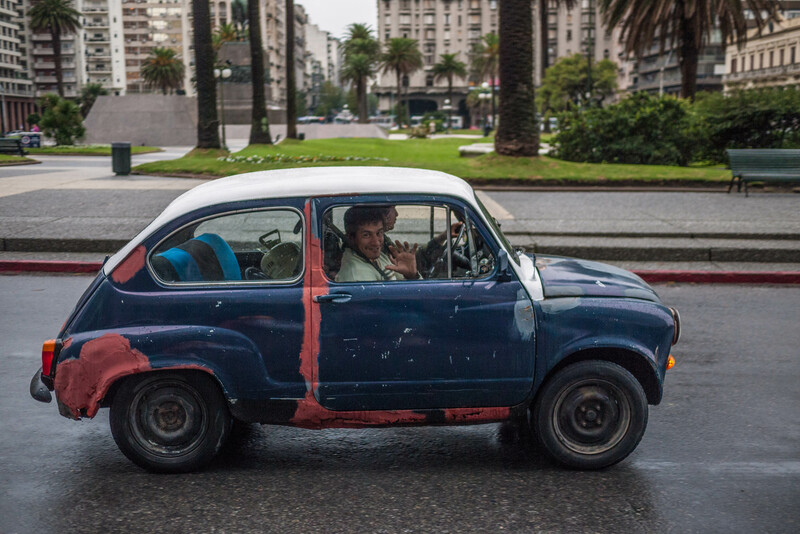 Montevideo isn’t a spectacular city but its comfortable, friendly and holds enough of interest for a couple of days. After our second visit to the Mercado del Puerto we needed to take a taxi and head to the airport. We had a flight to catch to send us on our way to Rio de Janeiro, our last stop on our tour of the Americas.